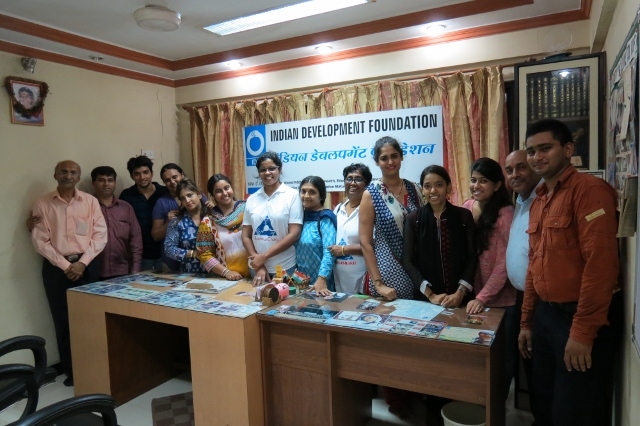 IDF skill development programme first round had been successfully completed. Special thanks to all the parents for supporting the social cause. My special thanks for Ms.Padmaja Kutty ma'am, Ms.Shusma Nair ma'am nd Bharggavi ma'am for there constant support for all the IDF projects. 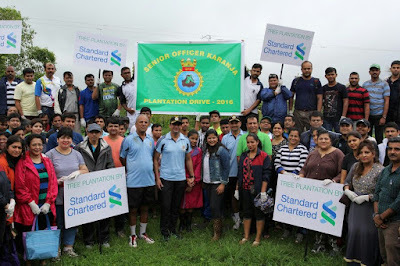 100 Social Champions from Standard Charted Bank and Indian Development Foundation reached the the Venue travelling all over through se route and planted 400 plants. Mr.Jayesh Hansora an Environmentalist also spoke about Environment and boosted the thoughts of everyone. Salutation to INS Karanja and Tunir for protecting Environment and Maintaining it beautifully. IDF thank team SCB for the wonderful support. 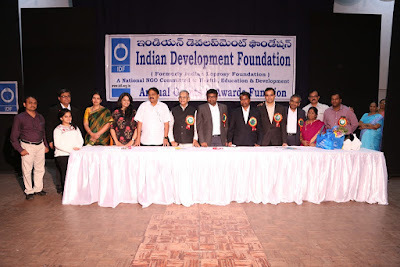 Indian Development Foundation Grants/ Awards function for Telangana & Andhra Pradesh Regions was organized at Hyderabad on 30th July 2016. 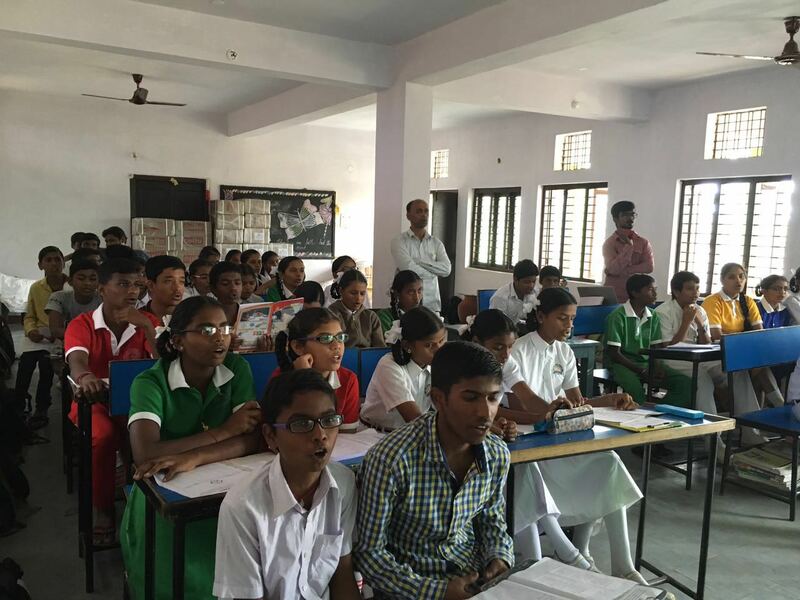 Projects in Telangana & AP regions received grants for leprosy/ TB and education project. Schools, Principal and Students received Social Action Awards for 2015-16. 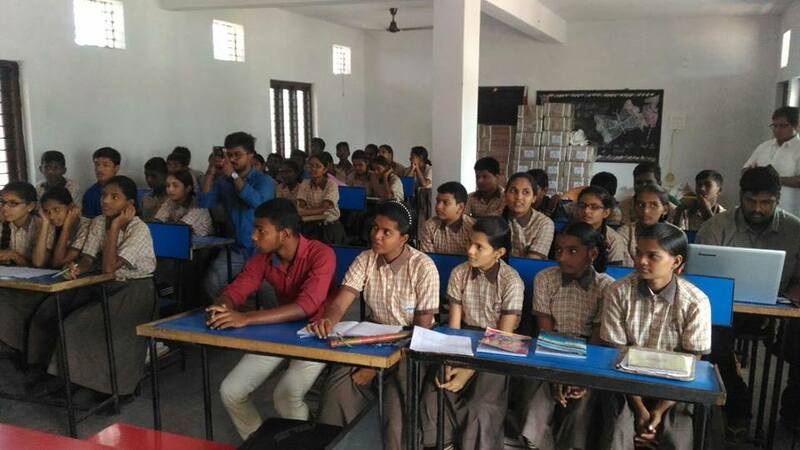 Delhi School of Excellence, Attapur, Hyderabad received Mother Teresa Memorial Award for excellent social work in Telangana. 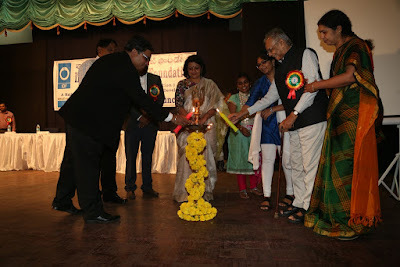 Chief Guest : Mrs. Chandana Chakrabarthi, Actor and Social Activist. Guests of Honour : Shri P. Madhusudhan Rao (Educationist & Philanthropist) – Mr.. T. Vikranth, Director, Sanskriti - The School. Dr. ARK Pillai, founder President, IDF, presided over the function. 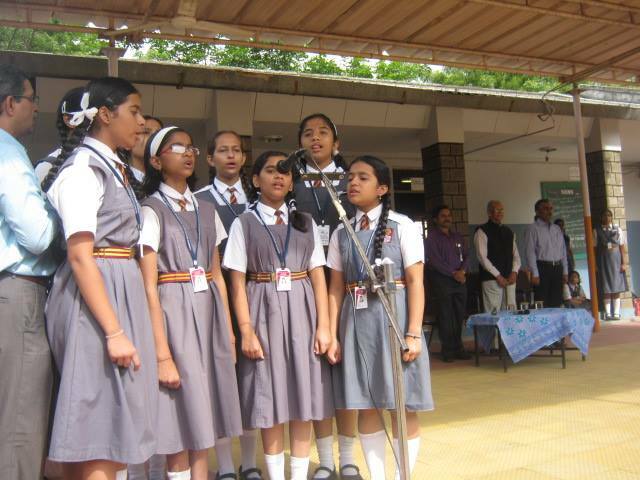 Bal Gurukul entertained the audience with performances. NIRD Campus, Hyderabad on 29-07-2016. 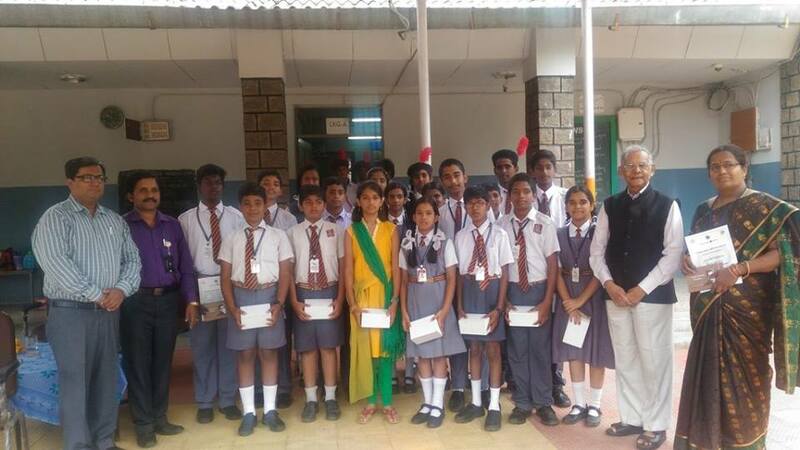 The team expressed special thanks to Mr. B.Ravi Kiran, Pincipal of BVBV for extending social support to Foundation's Bal Gurukul projects. 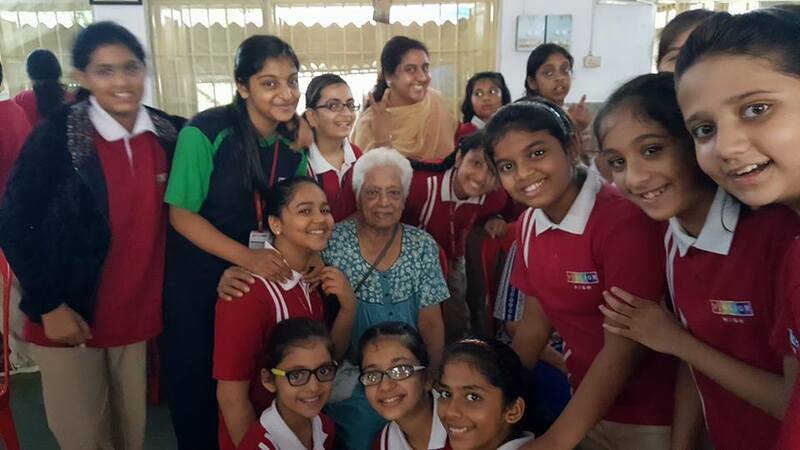 148 students of grade 6 from Vibgyor High, Goregaon(west) Mumbai led by teacher Donna Sequeira, Nikhat Mam and other staff colleagues visited Assisi Bhavan Home for Elderly Mumbai on 28th July 2016. The visiting students and teachers interacted with (Elderly)Grandpa's and Grand Mom as part of their social exchange programme. Singing Songs ,Interacting to Elderly.spreading smile and Goodness were part of their agenda. Team Indian Development Foundation led by Mr. Satendra Prasad Gupta, Mrs. Kalpana Devadiga and Ms Memon Salma appreciate the student social responsibility of Vibgyor High students which left an indelible impact Smiles and happiness on the minds of everyone. 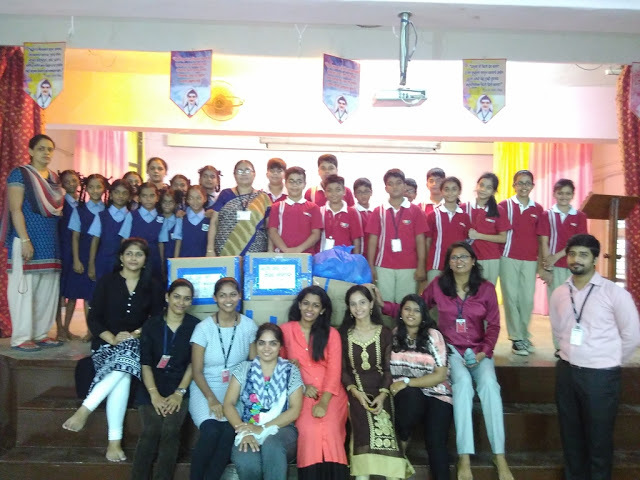 Salutations to Vibgyor High, Goregaon (west) from Team IDF and Assisi Home for Elderly for your Social Commitment. IDF Grants/ Awards function for Karnataka region was held on 26th July 2016 at Bharatiya Vidya Bhavan, Bangalore. 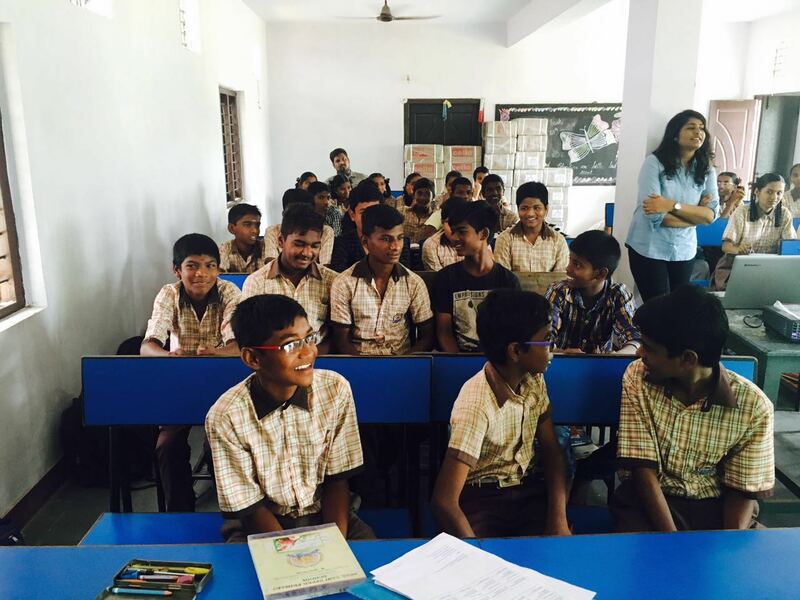 Highlights : Release of IDF Grants to leprosy/ TB/ HIV-AIDS and education projects in Karnataka. Honours to schools and students for their excellent social responsibility and honours to social workers and institutions. 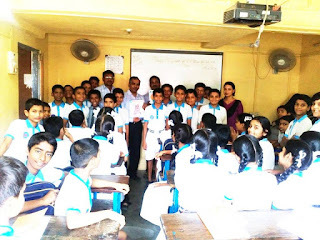 Chief Guest : Dr. H. T. Sangliana, IPS (Retd), Ex-CP, Ex-DGP spoke on Love, Peace and Giving. Guest of Honour : Mrs. Hemaa Narayan, Director, Sudarshan Vidya Mandir Institutions spoke on goodness anytime, anywhere, anyplace. Dr. ARK Pillai hailed people's participation in development work. 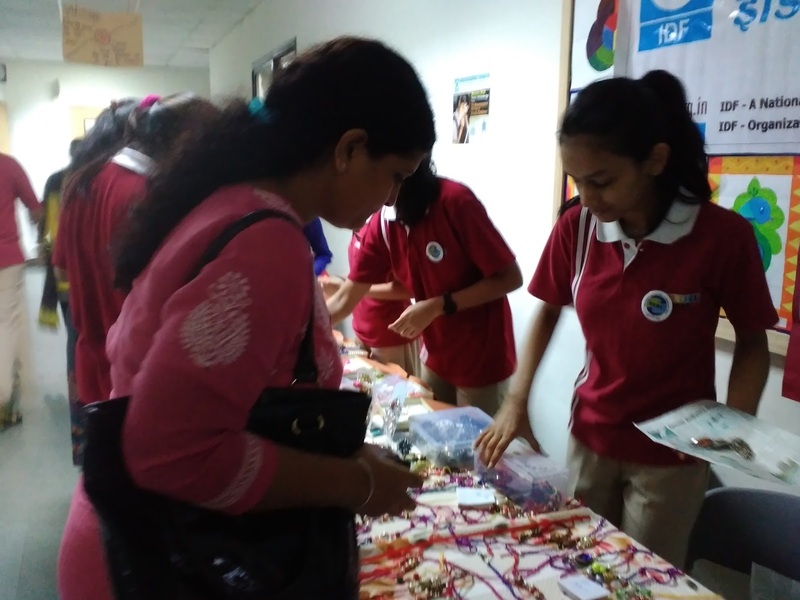 IDF team geared up for goodness unlimited. 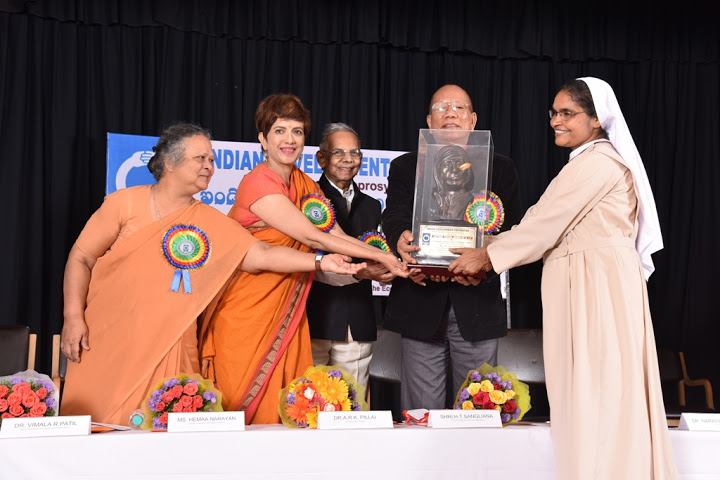 Mother Teresa Memorial Award for Karnataka Region was presented to St. Joseph's English Hr. Primary School, Bangalore for excellence in social work (2015-16) and IDF Karmayogi Award 2016 was presented to the leprosy crusader Rev. Sr. Mary Mascarenhas. 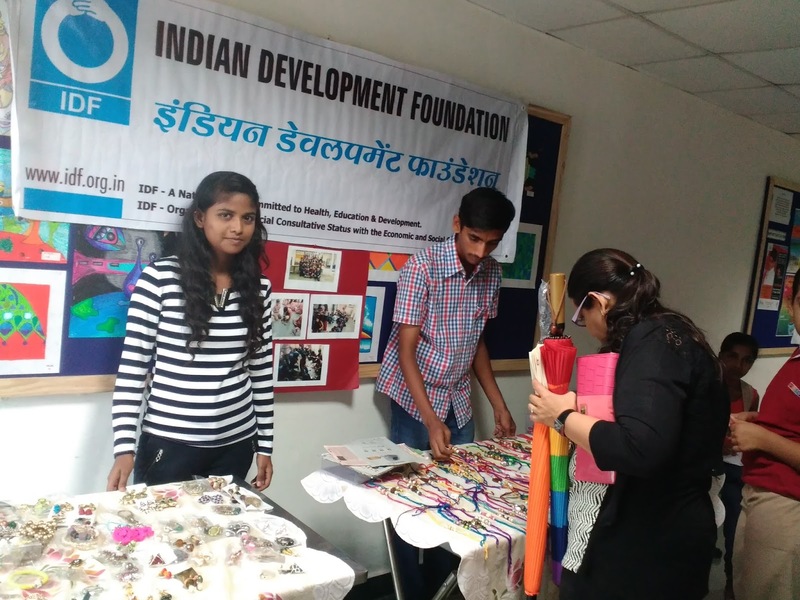 Indian Development Foundation (IDF) has a unique record of sharing its resources with other leprosy/ TB/ education projects. We have been doing this for over 30 years without any interruption and with all commitment. IDF Grants to leprosy/ TB and education projects are given out of donations received from general public. We also take this opportunity to honour the social champions with social action awards for their constant support to humanitarian programmes. IDF activities are gearing up at different parts of India. You support, we do the rest !!!! Annam Methipara Bal Gurukul @ Thirumudivakkam, Chennai. 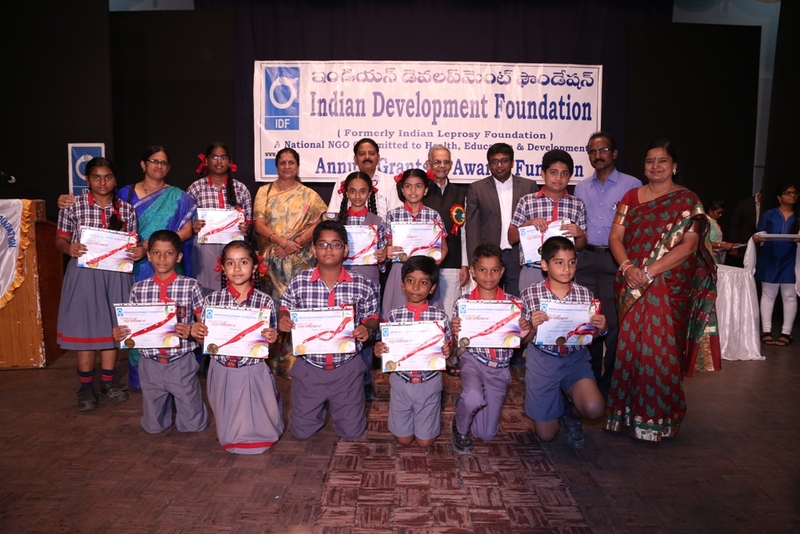 Indian Development Foundation in collaboration with Sri Shanthi Anand Vidyalaya at Thirumudivakkam, Chennai relocated and relaunched Annam Methipara Bal Guruku @ Thirumudivakkam, Chennai on 16th July 2016. 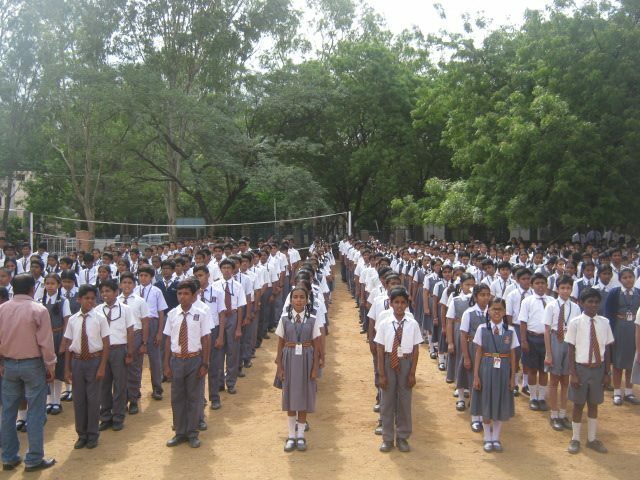 Annam Methipara Bal Gurukul sponsored by Mr. Tomi Methipara, Chicago through IDF USA was functioning at Saidapet, Chennai from Nov. 2012. From 2016-17, we have relocated the Bal Gurukul to a new place. Our special thanks Mr. Tomi Methipara and family and friends of IDF USA for supporting the project. 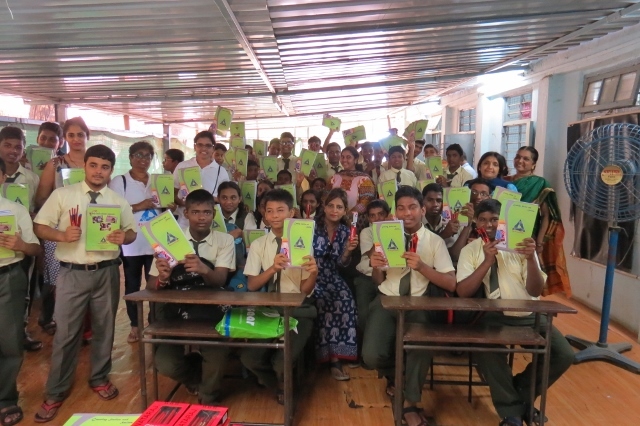 Thanks to Social Ambassador Mrs. Rajammal and many others for providing support to the children. Wonderful job done by Mr. Mohanty and Mr. Kedar Sir towards students development... It was a great honour to interact with the students. Team Indian Development Foundation thank Team IDF UK for supporting the project. IDF will also be sponsoring 5 girls and starting SLP from 23rd of July. IDF Nepal....... Goodness beyond boundaries. 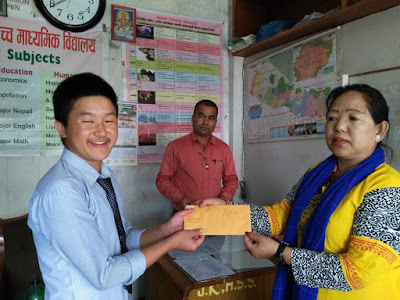 Indian Development Foundation feel extremely happy to support students in Nepal. 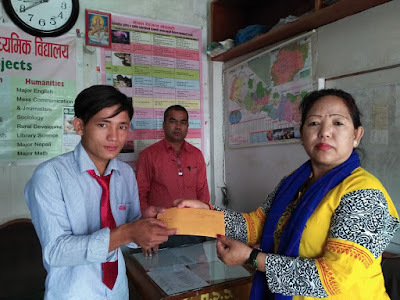 IDF Social Ambassador Mr. Dipesh Dhakal shortlisted 4 deserving candidates for scholarship and the support was provided to the students at the hands of the Principal of Shree Janakalyan High Secondary School, Nepal. Special thanks to Mr.Dipesh Dhakal for the excellent co-ordination. 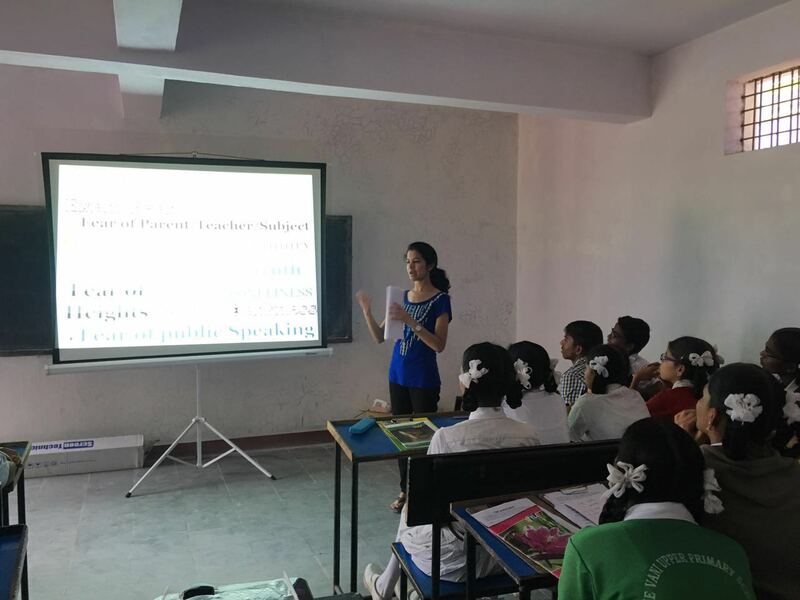 IDF SLP Certificate Day @ Dhulapally, Hyderabad. SLP finale in Sree Vani Upper Primary school, Dhulapally, Hyderabad. 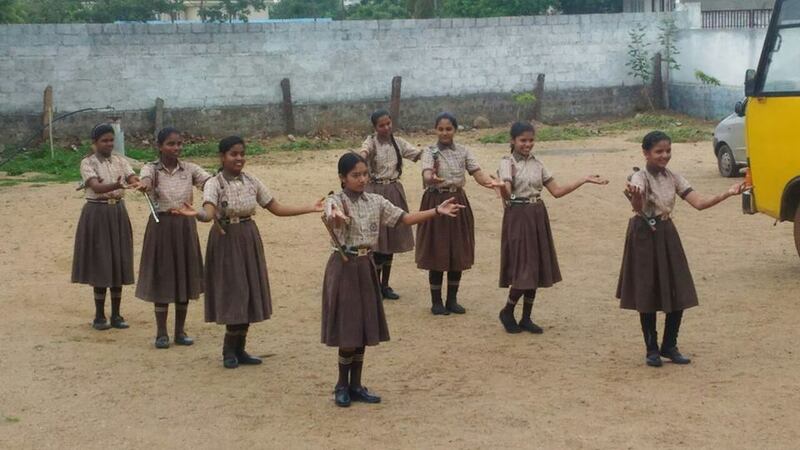 A wonderful valedictory to the 12 sessions SLP - Skits, Dances, speeches and more by the students. Congratulations to Sreevatsav Polavarapu, Karthik Kumar Reddy Kodidela,Rashmi Reddy, Sreeja Reddy, Kapil Reddy Sudharma, Kalva Sai Vishnu Vardhan Reddy from St. Martins Engineering College for successfully conducting the 2nd SLP. 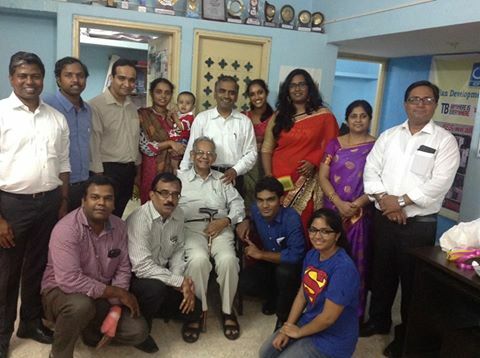 Corresepondent Mr. Praveen graced the occasion. Students were very happy with the sessions and were also disappointed that the program ended so soon. 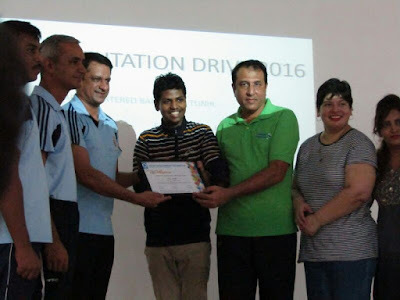 Certificates and prizes were handed over to the students. 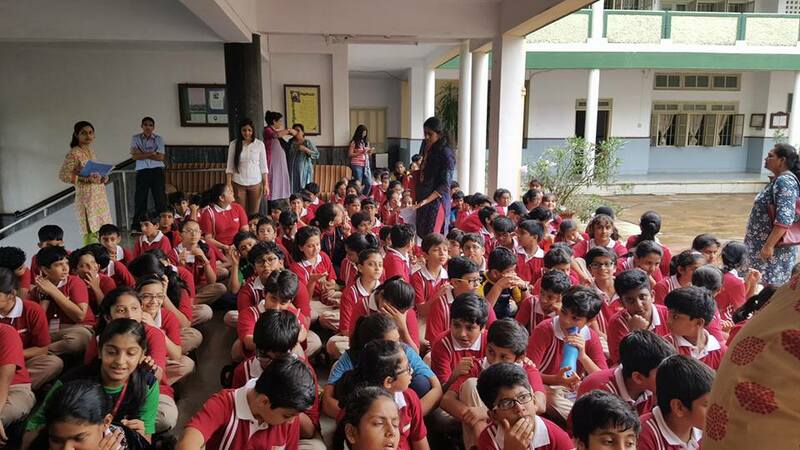 160 students of grade 6 from Vibgyor High, Malad East, Mumbai led by teacher Paromita Chattopadhyay visited St. Catherine's School, Andheri West, Mumbai on 11th July 2016. The visiting students interacted with 160 students of grade 6 at St. Catherine's School as part of their social exchange programme. Prayers, skit, dance and motivational speeches were part of their agenda. 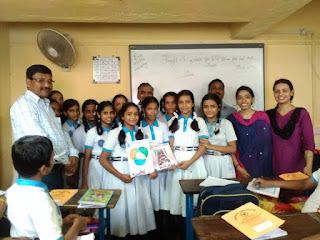 Team Indian Development Foundation led by Mr. Satendra Prasad and St. Catherine School led by Rev. Sr. Urmilla co-ordinated the initiative. 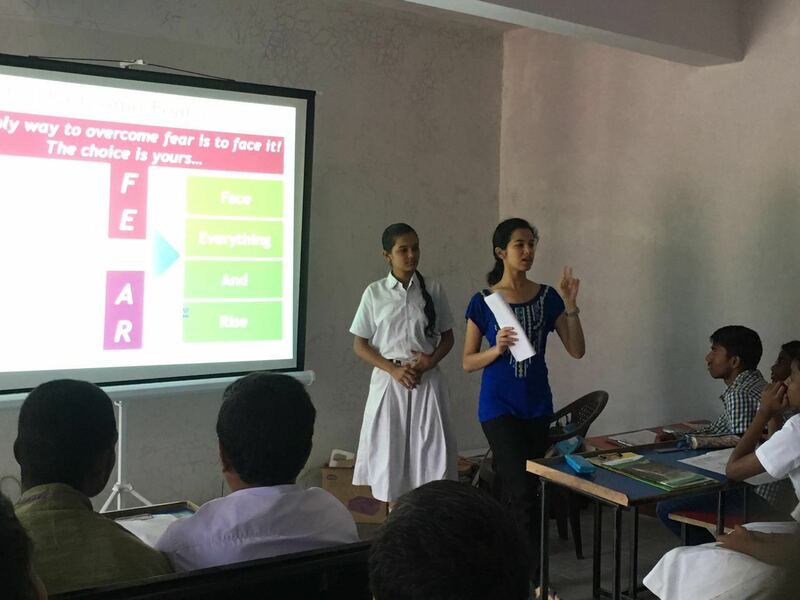 St. Catherine and IDF appreciate the student social responsibility of Vibgyor High students which left an indelible impact on the minds of both the school students. 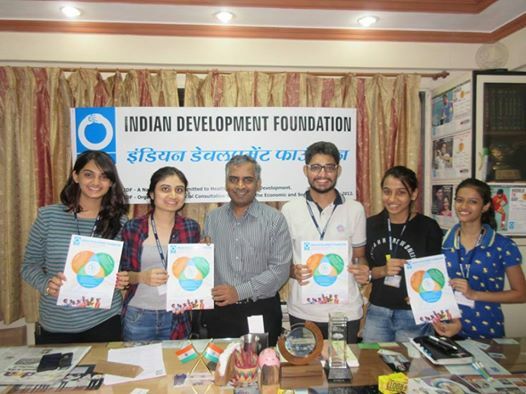 NSS volunteers from UPG College of Management, Mumbai visited Indian Development Foundation to discuss various upcoming social projects for 2016-17 and provide support for various causes. 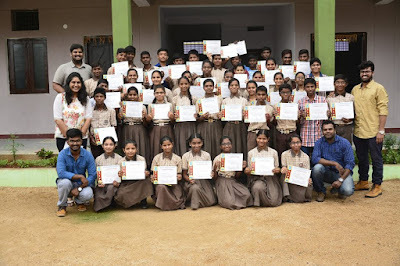 Students from UPG College of Management have been a great source support for health, education and development projects of the Foundation for several years. Our sincere thanks to the committed team. 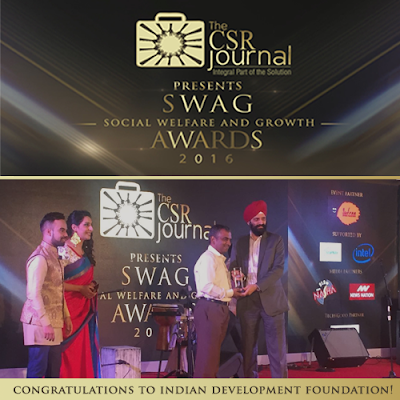 IDF's Project pH12 received The CSR Journal's SWAG Award 2016 as best project in health and sanitation category. "We dedicate the award to all the girls who could attend their class regularly without any interruption. We also dedicate the award to all the supporters and social ambassadors who came forward to lend a helping hand to provide independence to the girls. Our special thanks to Team The CSR Journal for recognising the social movement and motivating us to march ahead. ", said Dr. Narayan B. Iyer, CEO, Indian Development Foundation. On 5th July 2016, under the joint auspices of Technology Information, Forecasting and Assessment Council (TIFAC), Indian Development Foundation and S.B.I.O.A. Educational Trust conducted a National Conference On Technology Vision 2035 at the SBIOA auditorium, Chennai. The opening session was initiated by Dr A. P. Jayaraman, Senior Nuclear Scientist and Trustee, Indian Development Foundation, who introduced the audience to the Technology Vision 2035. Dr. Anil Kakodkar, Chairman-TIFAC & Former Chairman, Atomic Energy Commission, the Chief Guest, delivered the Keynote Address. Prof. Prabhat Ranjan, Executive Director, TIFAC, presented the Technology Vision 2035 document to the audience of nearly 1000, after which Dr. Gautam Goswami, Head, TV 2035 Exercise, TIFAC, provided an insight into the presented document. The opening session concluded with words by Dr. Thomas Franco Rajendra Dev, Secretary and Correspondent, SBIOA Educational Trust, who elaborated the design and focus of the day’s conference. In the first plenary session on the first of the goals of Technology Vision 2035, Quality Education, moderated by Dr. A. P. Jayaraman, the speakers were Dr. Neeraj Saxena, Scientist, TIFAC, Shri S. M. Saleem, Deputy Commissioner, Kendriya Vidyalaya Sangathan, Chennai, Dr. R. Ramanujam, Professor, Indian Institute of Mathematical Sciences, and Shri J. Thomas, Department of Physics, SBOA Matriculation & Hr. Sec. School. Post-lunch, in the second session of the day, the discussion on Clean and Potable Water was moderated by Dr. S. Janakarajan, Economist and Consultant, MIDS. The speakers for the session were Dr. Pushpito Ghosh, Former Director, CSMCRI, Bhavnagar, Dr. S. Prabhakar, Nuclear Scientist, Ex.BARC, Desalination Expert and Indian Development Foundation Ambassador, Dr. G. Venkatesan, Scientist, National Institute of Ocean Technology, and Dr. T. P. Raghunath, CEO, Centre for Ecology and Rural Development Secretary, TNSF. In the third plenary session of the day, moderated by Shri Sanjay Ram, Project Co-ordinator, Indian Development Foundation, the speakers – Prof. S.S. Thipse, Dy. Director, Powertrain Engineering (Pune), Dr. G. Uma Devi, Professor, Transport Engineering, Dept of Civil Engineering, C.E.G.Guindy, Anna University, Shri K. Mohanram, Project Manager, Directorate of e- Governance, Chennai, and Shri Gitakrishnan Ramadurai, Assistant Professor, Transportation Engineering, Dept. 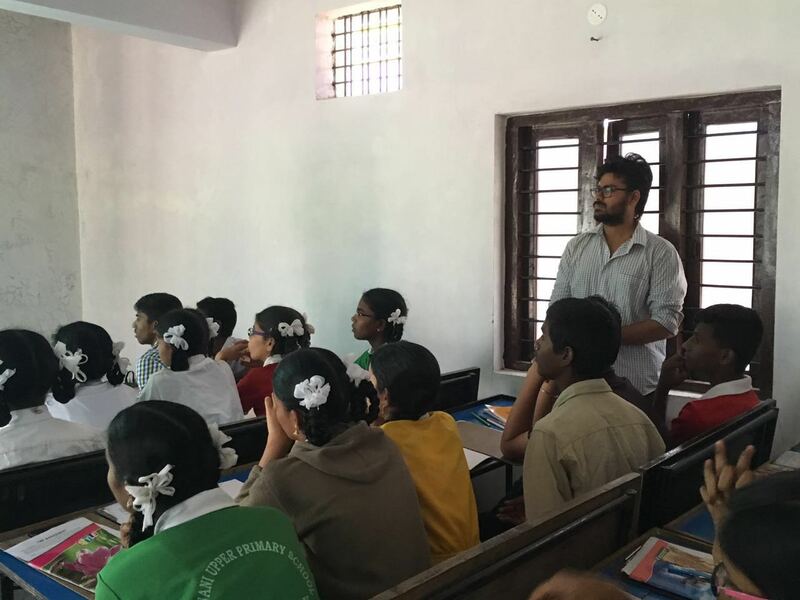 of Civil Engineering, IIT Madras – discussed the goal of Safe and Speedy Mobility. In the valedictory session, Dr. Thomas Franco Rajendra Dev spoke a few words on behalf of SBIOA Educational Trust. Dr. A.R.K. Pillai, founder President, Indian Development Foundation, concluded the valedictory session, and the day’s events, with his thoughts on the Technology Vision exercise and the nature of developmental activities in India. 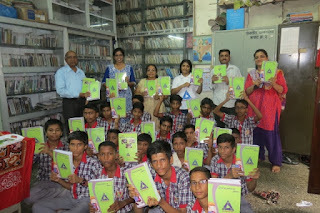 After a grand and successful book distribution event on the 22nd June 2016 ,Akshayashakti has been working hard to reach out to the very poor and needy school children of Thane and Palghar district. On the 24thjune we distributed books to Balvikas vidhyamandir school children of Thane and the Balgurukul students of Akshayashakti. Today Team Akshayashakti visited three balgurukuls run by IDF . 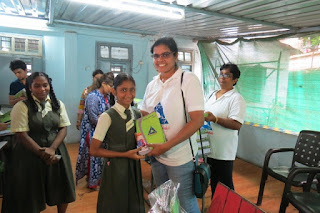 It was truly an experience going to the very interior schools of the Malwani slums .We visited St,Mathew’s High school and junior college .A school truly a Gem in the slum . A school with a lot of dedicated teachers and a principal who sold her house to start a small school in Malwani slums as there was no school in the vicinity . The school has got 100 percent result and the topper with 95 percent . We at Akshayashakti feel extremely glad that we could do our best to support the poor and needy students .A very special note of thanks to all the volunteers and Team IDF . Attached please find photographs of today’s activity. 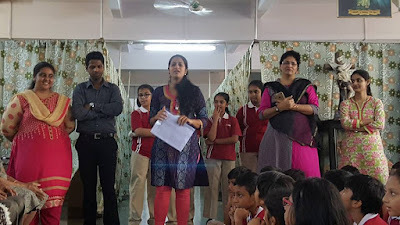 Team Indian Development Foundation launched yet another Bal Gurukul and named it as Bhagat Singh Bal Gurukul at Children Public School, Bhagat Singh Nagar No.2, Goregaon West, Mumbai on 2nd of July 2016. 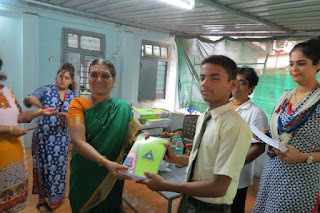 The Bal Gurukul was inaugurated by Mrs. Latha Venkat, Principal of Sarvodaya Balika Vidyalaya and Trustee, IDF. 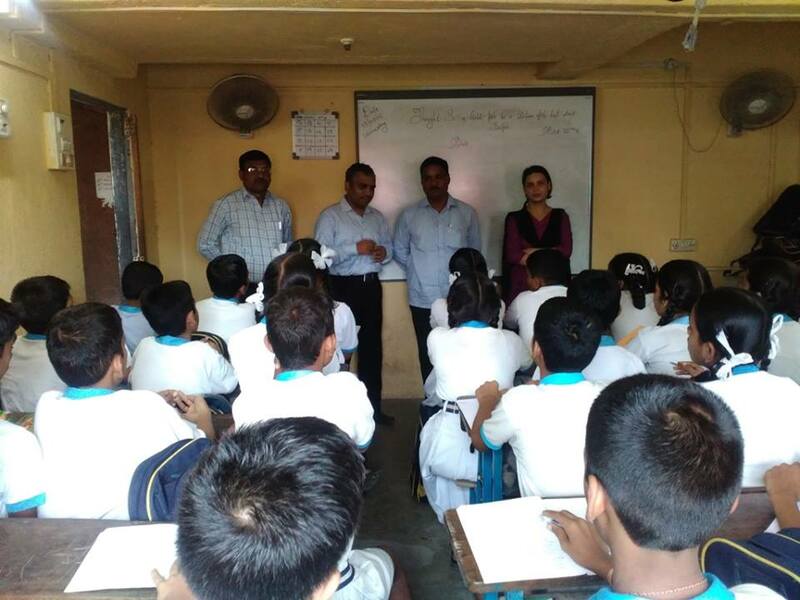 Team IDF - Mrs. Latha Venkat, Dr. Narayan Iyer and Mr. Satendra Prasad - appreciated the great work done by Mr. Tripathi, Principal of CPS for the cause of education. Indian Development Foundation runs nearly 200 Bal Gurukuls in India.